Such a beautiful lens! That was my first impression. I’ve always been curious about the Lensbaby line of lenses and often thought about purchasing one. This year I finally did, choosing the Lensbaby Velvet 56. 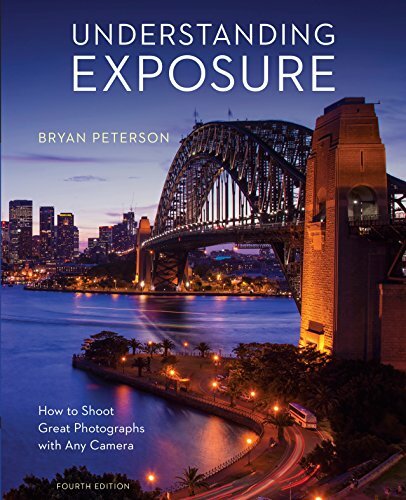 This particular lens creates a soft, glowing look to photographs. When you stop down the lens all the way (close the aperture to its smallest setting) you will minimize the softness. But as you open the aperture the lens begins to add a really nice soft, ethereal effect which gets softer the wider the aperture. A red rose photographed with the Lensbaby Velvet 56 using a smaller aperture to lessen the soft, ethereal look. The lens has a maximum aperture of f/1.6, which allows it to create some very nice bokeh (the beautiful out of focus areas). I’ve included several pairs of sample photographs in this post, one created with a more open aperture than the other to better show some of the effects you can create. Click on any of the photographs to see a larger version. 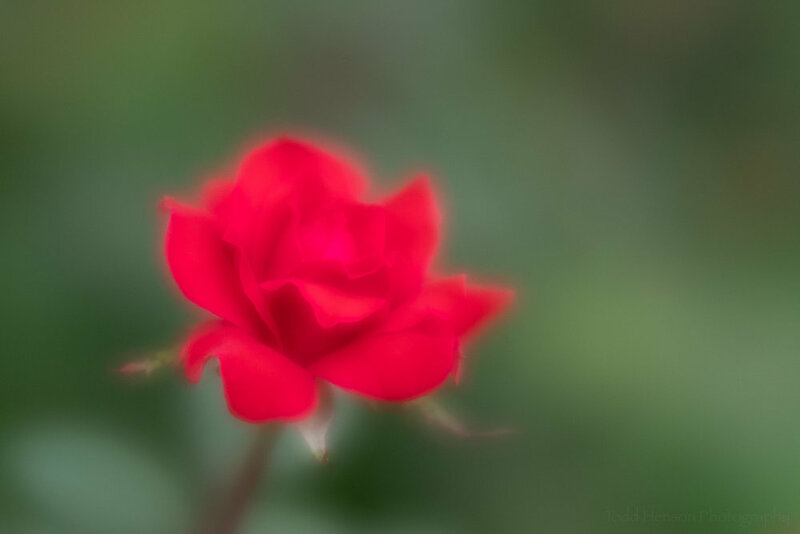 A red rose photographed with the Lensbaby Velvet 56 using a larger aperture to increase the soft, ethereal look. As can be seen in some of these photos the Lensbaby Velvet 56 is also useful for shooting macro. It has a minimum focusing distance of 5”, letting you get fairly close to your subject. And you can always use extension tubes if you want to get even closer. A red rose photographed with the Lensbaby Velvet 56 using a very large aperture to really increase the soft, ethereal look. I will say it can be a challenge learning to use this lens. It is a fully manual lens. There is no autofocus. You manually change the aperture on the lens (as used to be the case for all lenses, back in the day). And there are no electronic contacts on the lens so the camera doesn’t know what aperture you’ve set. A pair of pink dianthus photographed with the Lensbaby Velvet 56 using a smaller aperture. 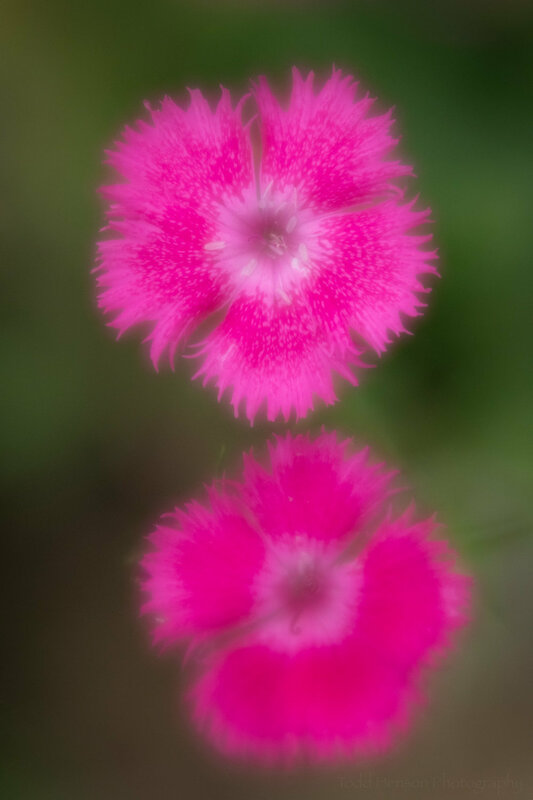 A pair of pink dianthus photographed with the Lensbaby Velvet 56 using a larger aperture. I have found, at least with the Nikon D500, that I can often use the lens with the camera in Aperture priority mode. The camera doesn’t know the aperture the lens is set to but it can usually meter through the lens, choosing a shutter speed to match the aperture. However, sometimes this fails and I need to switch to Manual mode, setting both the aperture and shutter speed myself. This seems to happen most often in low light situations. A group of gomphrena flowers photographed with the Lensbaby Velvet 56 using a small aperture to create a sharper image. A group of gomphrena flowers photographed with the Lensbaby Velvet 56 using a large aperture to create a softer image. As mentioned there is no autofocus with this lens. You must focus manually. This is not as easy with today’s digital cameras as it was with some of the nice focusing screens in the older film cameras. But as with all things you will get better at this the more you practice, so keep trying. It’s well worth the effort. A blue balloon flower photographed with the Lensbaby Velvet 56 using a small aperture. A blue balloon flower photographed with the Lensbaby Velvet 56 using a large aperture. Some of the effect this lens creates might be possible through software in post-production. And you may be able to replicate some using props, such as tulle or other fabric held over the lens. But it’s very convenient and enjoyable creating these effects with so little effort using just the lens. Not to mention how much more reproducible the effects will be. 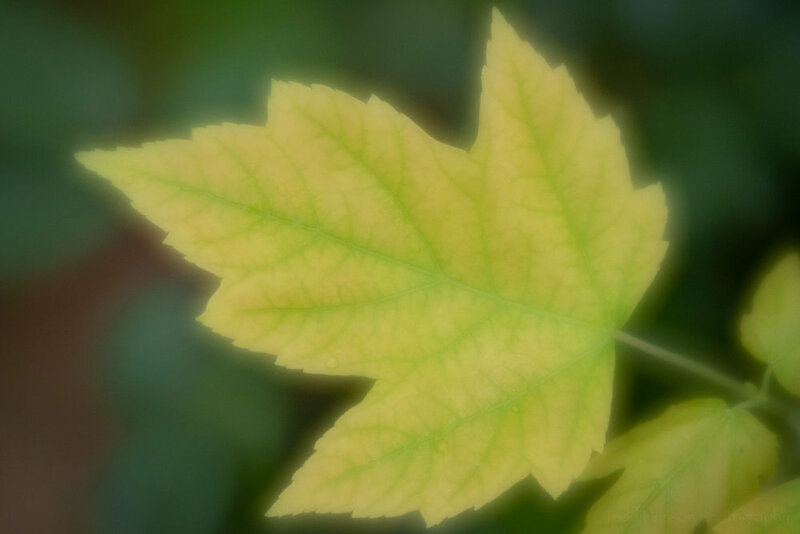 A large aperture on the Lensbaby Velvet 56 created a soft glow around this yellow maple leaf. I will share more photographs created with Lensbaby Velvet 56 in future posts. And I look forward to working more with the lens, exploring what I might be able to create with it. I have some ideas, but no clue yet how they might work out, if at all. That’s part of the fun using a new lens of this sort. A small aperture on the Lensbaby Velvet 56 allowed me to keep most of this red hibiscus bud in focus. Have you ever used the Lensbaby Velvet 56 or its longer focal length sibling, the Lensbaby Velvet 85? If so let me know what you thought of it in the comments below. Pistils of a red hibiscus flower, using a small enough aperture on the Lensbaby Velvet 56 to keep the tips of the pistils in clear focus. 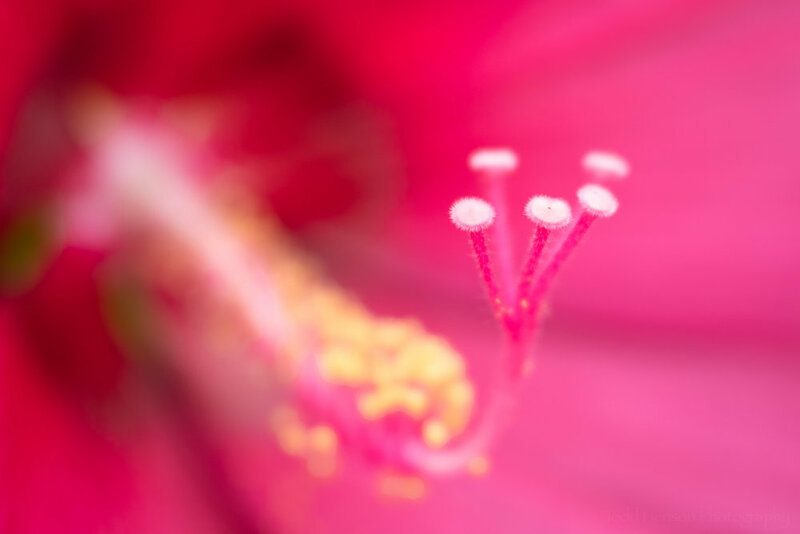 Using a wider aperture on the Lensbaby Velvet 56 created a soft glow to the pistils of this red hibiscus flower. If you purchase a Lensbaby Velvet lens be sure to get the correct version for your camera’s mount. 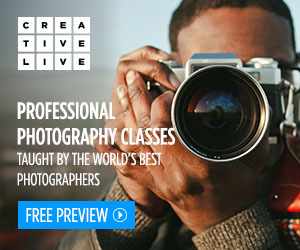 They make them for Nikon, Canon, Sony, and several other brands, as well.